The traditional Misty Fjords tour is our most popular! 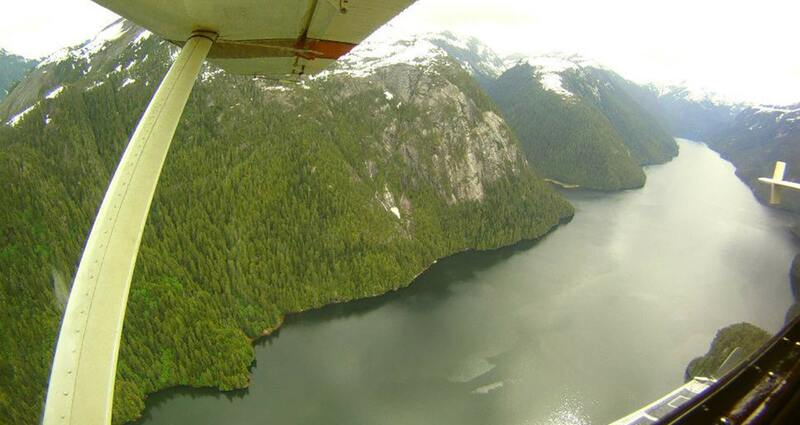 The moment the floats of your aircraft leave the water, you will enjoy aerial views of the Ketchikan waterfront. 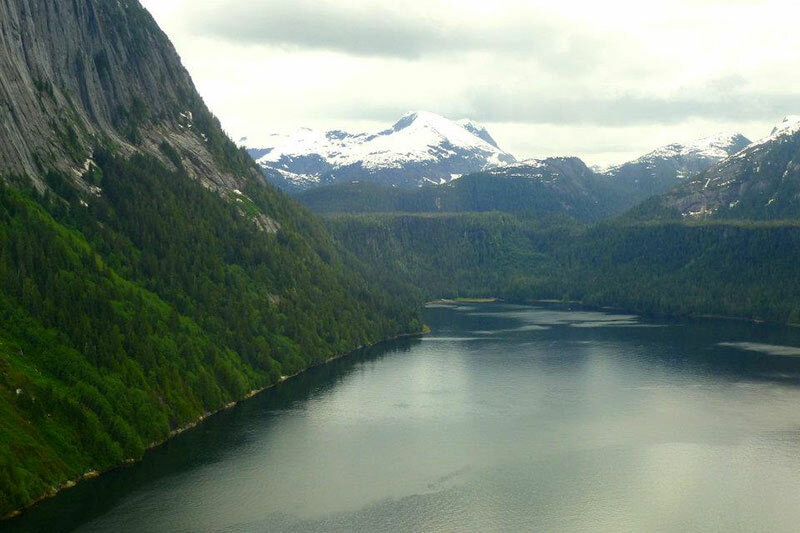 Soar through the Tongass National Forest and then before you know it, the Misty Fjords National Monument. Your pilot will navigate through the fjords and waterways of the monument, leaving you awe-inspired and wanting more. Each tour includes a remote landing in the monument to soak in the grandeur and experience the sound of silence. The traditional Carlin Air Misty Fjords Flightseeing tour is 1 1/2 hours in length and offers a myriad of views including sheer rock face “walls”, crystal clear alpine lakes and cascading waterfalls. 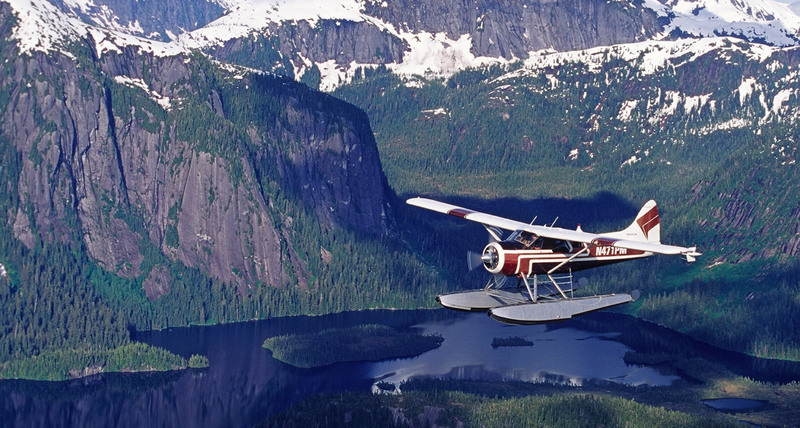 Picture yourself soaring through the Misty Fjords (Misty Fiords) National Monument in a floatplane specifically designed for flightseeing. Only by air can you truly appreciate the 2.2 million acre wilderness monument that was covered by glaciers thousands of years ago. The area is chosen for the evidence glaciers crafting a path to the sea, leaving behind saltwater filled fjords lined with rock walls towering thousands of feet up. As you fly over Alpine lakes and old growth forest, keep an eye out for mountain goats on peaks as well as both black and brown bears on the ground. About halfway through the tour, your aircraft will touch down in the monument for a short stopover. This is your chance to step out of the aircraft, breathe some of the purest air on the planet and stretch your legs. After a few minutes to soak in the incredible scenery and snap some pictures, you will re-board the aircraft for your return flight to Ketchikan. We offer each passenger at Carlin Air a voice activated headset as a bonus to the flight. The equipment allows you to talk with other traveling companions, your pilot / guide or just listen while the pilot / guide narrates or plays music in the background - no boring pre-recorded tapes in a monotone voice! Complimentary transportation is provided at the start as well as the end of your excursion.